Small doses of fluoride when teeth are developing can help prevent tooth decay. They can come from drinking water – either naturally or artificially fluoridated, from toothpaste, mouthwash or dental gel. Artificial fluoridation of drinking water reaches the whole population, but is a controversial as a public health measure. Too much fluoride may be harmful, leading to discolouration and even damage to teeth from fluorosis. It has also been suggested that excess fluoride may have other health effects. What is the latest scientific evidence on the costs and benefits of fluoride, and what role do different sources of fluoride play in dental health? An assessment by the European Commission Scientific Committee on Health and Environmental Risks (SCHER). What happens to fluoride in your body? What are the possible health effects of fluoride, and what is the latest evidence about them? Are there any reasons for concern about people’s fluoride intake? If so, who is at risk? What role does fluoride play in preventing tooth decay? What further investigations are needed to improve assessment of exposure and of the health effects of fluoride? Does the fluoridation of drinking water specifically lead to adverse ecological impacts? Fluoride occurs naturally, but people do not need it for normal growth and development. It can, however, help prevent tooth decay. This has led to use of fluoride in toothpastes, in fluoride supplements and, in some countries, to fluoridation of drinking water. Excessive fluoride intake may also be linked with adverse health effects. This report reviews the most up to date evidence on fluoride intakes from all sources, and their possible effects. In particular, it considers the effects of the most common drinking water fluoridation agents, and whether water fluoridation is effective in preventing tooth decay. Both natural and artificial fluorine compounds produce fluoride ions (F-) in solution. Fluoride when swallowed is absorbed via the stomach and intestines. It is not thought to be absorbed significantly in the mouth, or via the skin. A few people may be exposed to fluoride containing dust from occupational exposure, but this does not affect the general population. Once absorbed, fluoride enters the bloodstream, reaching a peak from 30-60 minutes after ingestion. It is removed by the kidneys, but some is incorporated into the mineral component of bones and teeth. 3. What are the possible health effects of fluoride, and what is the latest evidence about them? Children exposed to too much fluoride while the enamel of their teeth is being formed may develop dental fluorosis. In its mild form, this leads to discolouration. When it is more severe, the tooth enamel is pitted. It can affect both the first set of teeth (baby or milk teeth) and the second set, which remain through adult life. Long-term exposure to high fluoride causes skeletal fluorosis. Fluoride weakens the bone structure by incorporation in the mineral matrix of bone. The condition has cropped up in India, China and Africa in regions with high concentrations of fluoride in drinking water or where coal containing fluoride is burnt indoors. In Europe it has only been seen in some workers in the chemical and mineral processing industries. Water fluoridation has not been linked with bone fractures, and modest fluoridation may even lower bone fracture risk. Animal and human studies have examined other possible risks from fluoride intake. They have not found clear links between fluoride and bone cancer, or with other suggested risks such as neurological or reproductive effects. 4. Are there any reasons for concern about people’s fluoride intake? If so, who is at risk? Fluoride in drinking water accounts for most of our fluoride exposure. Fluoride intakes can be estimated from what we know of concentrations in drinking water in different regions, food and drink consumption, toothpaste use, and so on. In the absence of precise population measurements, fluoride exposure is calculated on the basis of scenarios for different populations with different habits. For adults and children over 15, the highest tolerable fluoride intake is only exceeded in areas with exceptionally high levels of natural fluoride in drinking water. This assumes they drink nearly three litres a day of water containing 3 mg/L fluoride. The estimates are more difficult for children under 15, because data are hard to come by. The main difference is how well children learn to spit out toothpaste, rather than swallow it, and at what age. The very youngest are at greatest risk of exceeding fluoride limits. The estimated tolerable limit for children under 1-6 years old is 1.5 mg/day, which should produce less than 5% of moderate dental fluorosis. This is exceeded if they drink more than 1.0 L water containing 0.8 mg F/L and they use a normal amount of regular fluoridated toothpaste. If they drink 1.5 L of water they go over the limit even without the toothpaste. 5. What role does fluoride play in preventing tooth decay? Fluoride taken up into the enamel during tooth formation helps reduce tooth decay later on. 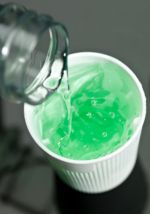 It can be supplied by adding fluoride to toothpaste, mouthwash, drinking water or salt. European Union wide trends show a reduction in tooth decay in 12 year olds regardless of whether water is fluoridated. There is no obvious advantage in favour of water fluoridation compared with topical application, that is via toothpaste, mouthwash or gel. The effect of continued exposure to fluoride from whatever source is questionable once the permanent teeth have erupted. There is some evidence that water fluoridation mainly benefits children from lower socio-economic groups, and so reduces inequalities in dental health across social classes. It is easy for children to exceed the fluoride intake which causes some dental fluorosis when they drink water which is fluoridated at levels used as an aid to prevention. 1) New biomarkers for long-term fluoride exposure. 2) Standardized methods for exposure assessment that add together all routes of exposure. 3) Better information on fluoride in food and bioavailability of fluoride. 4) Epidemiological studies, taking advantage of the existing mother-child cohorts to investigate the role of fluoride intake in dental fluorosis and dental health. 7. Does the fluoridation of drinking water specifically lead to adverse ecological impacts? The current best assessment is that adding fluoride to drinking water at concentrations between 0.8 mg/L and 1.5 mg/L) does not result in unacceptable risk to water organisms. The properties of the fluoride ion mean that it remains in the water during sewage treatment, so does not contaminate soil or terrestrial ecosystems. Atmospheric release from incinerating sewage sludge is also unlikely. The GreenFacts Three-Level Structure used to communicate this SCHER Opinion is copyrighted by Cogeneris SPRL.